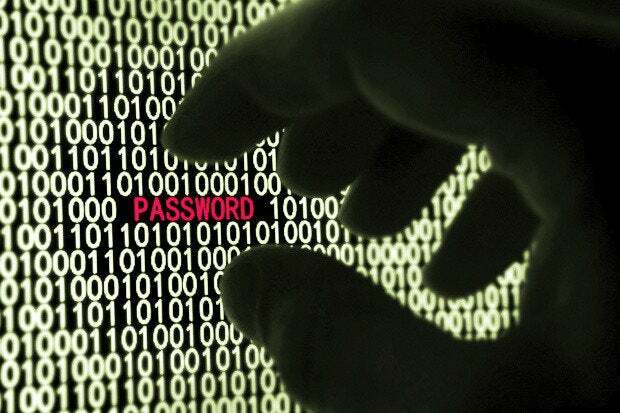 May 7 is the third annual World Password Day and a reminder to change your umpteen zillion passwords. May 7 is the third annual World Password Day and a reminder to change your umpteen zillion passwords. The Password Day site includes recommendations such as using a password manager and a spot via Microsoft to practice passwords with the disclaimer, "This doesn't guarantee a password's security. Microsoft does not store the info you enter; it is for your reference only." 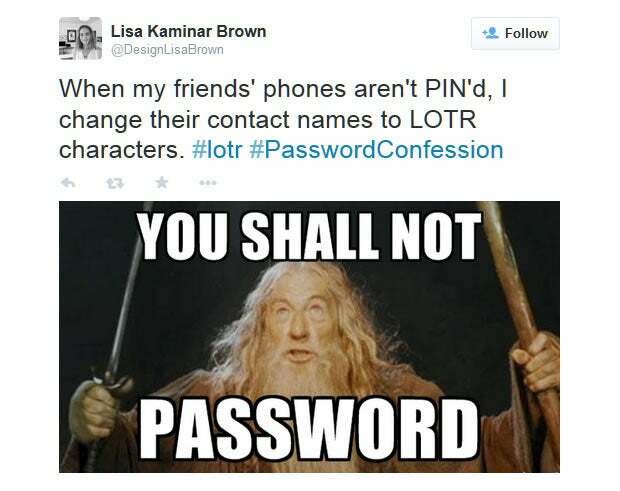 Password Day will likely spur a new flood of #PasswordConfessions. Other folks might confess in the spirit of Password Day, but some people will do so because they want a free full-year premium subscription to the True Key app. If that's an app you'd like to try, then you "post a fun password confession Tweet, Facebook post, Instagram post, or a Vine post," then "visit passwordconfession.truekey.com and follow the directions to submit your Submission and redeem your Gift." Intel Security is giving away 10,000 True Key gifts. If you try it, then instead of unlocking accounts and sites with a multitude of unique and strong passwords, you could instead use True Key and your "facial math." Basically, you show your face to your smartphone then swipe the mobile device for added security, and then you have access to all your sites; True Key will fill in the passwords for you. The actual description states: "Only you can access your True Key profile once you prove you are you, using things that are unique to you, things like your face or a trusted device you own. Your information syncs to all your devices, so you have access, wherever you are." The data is stored locally on your device using AES-256 encryption; supported platforms include Windows PC, Mac, Android, iOS devices; Chrome and Internet Explorer are the supported web browsers. Passwords are a problem that just won't go away. Last week Microsoft released the Local Administrator Password Solution (LAPS) as a "solution to the issue of using a common local account with an identical password on every computer in a domain." If you choose not to use it, then attackers probably thank you for needing to only target a single point of failure that leads to access on all work boxes. Did you know "practically unhackable people" use password managers and two-factor authentication? Speaking of Password Managers, StickyPassword is offering a 33% discount in honor of World Password Day. Do you know how Password Day got started? According to IT security analyst Mark Burnett's post on Medium, he had a client who kept getting hacked even after moving to stronger and more frequently changed passwords. So they finally "took an entire day to change passwords for every user, every router, every server, databases, ISP accounts, and even voice mailboxes." That "company-wide password change solved the problem — they never saw evidence that those attackers ever regained access." In fact, that company made the global password changes an annual tradition. Take note bosses that you could make it cool instead of a pain, as those bosses "bought a stack of pizzas, they cranked the music, and everyone sat down resetting passwords. They called it Password Day." But it was Intel Security that actually declared May 7th World Password Day. Gary Davis, Chief Consumer Security Evangelist at Intel Security, pointed toward potential passwords of tomorrow; things like using the veins in your hands, geographic passwords, security tattoos, password pills, inkblots or even brainwaves. 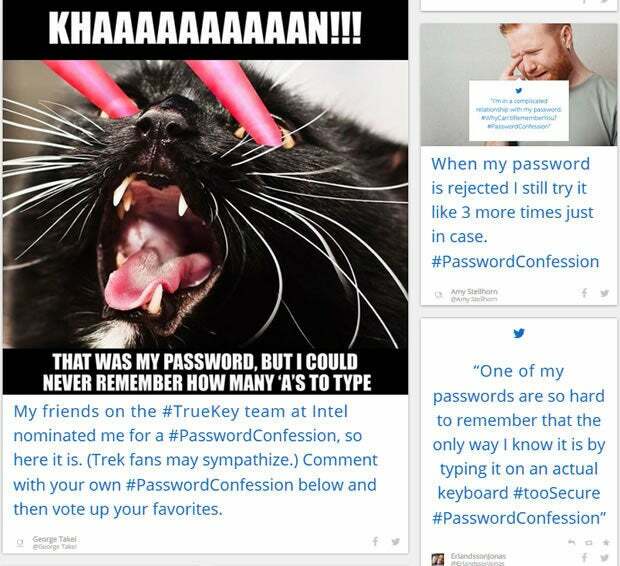 For now, Intel Security suggests trying True Key for free via the first 10,000 Password Confessions. If you are interested in tweeting about password problems, wisdom or other password drama, then Stop Think Connect will be hosting a Twitter chat in honor of World Password Day. "The middle finger emoji was approved as part of Unicode 7 in mid-2014, yet has curiously remained absent from iOS, OS X, Android, and Windows. Until now." Microsoft is the first big tech firm to sanction flipping the bird, as the middle finger emoji is coming to Windows 10. Emojipedia noted that the "reversed hand with middle finger extended" emoji has a default color of gray, but will be available with skin modifiers for pale, cream white, moderate brown, dark brown and black skin tones.